Have taught in the Physical Therapy Program since 1996. 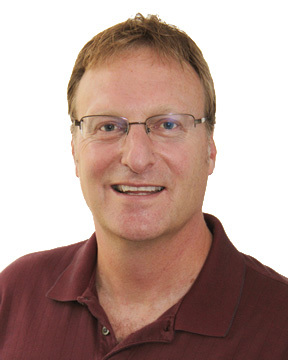 Responsible for developing the Strzelczyk Clinical Biomechanics Laboratory in the Health Science Center and am the founder of the La Crosse Institute for Movement Science (LIMS). We currently have a very active biomechanics research laboratory that primarily examines lower extremity injury mechanisms and joint/soft tissue loading. Much of our work has examined the biomechanical factors related to anterior cruciate ligament (ACL) injury, patellofemoral pain and Achilles tendon loading during movement. Currently, I serve as the Director of the La Crosse Institute for Movement Science (LIMS) and the Health Professions Department Chair. Fellow of the American College of Sports Medicine, member of the American Society of Biomechanics, Associate Editor for the Journal of Applied Biomechanics. If you want to become a physical therapist as well as be involved in contemporary research within movement science, UWL is a really great place to be! Become part of LIMS!